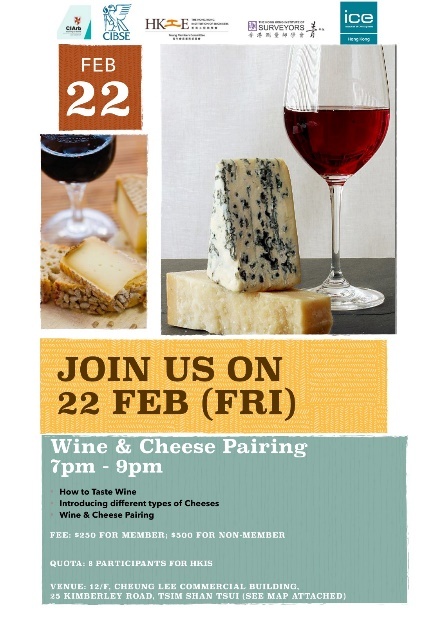 Jointly organised with CIArb, CIBSE, HKIE-YMC and ICE, the joint society professional event will provide a valuable opportunity for all of you to meeting new people across different institutions by join the Wine & Cheese Pairing on a TGIF. The event includes an introduction on how to taste wine, understanding different types of cheeses and wine and cheese pairing. Please note that the venue has been changed to Room 1101-1102, 11/F., No.102 Austin Road, Tsim Sha Tsui, Kowloon. Method 2: Please complete the CPD RESERVATION STANDARD FORM together with the payment and send to the HKIS office. This event is NOT eligible for CPD and PQSL hours. While HKIS not arrange insurance policy for this event, all participant members may consider to arrange insurance policy to cover their own risk. 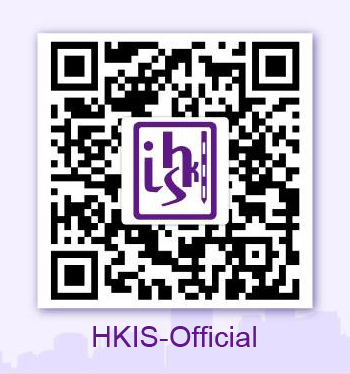 Should you have any queries, please email us at cpd@hkis.org.hk or contact Ms. Donna YU of HKIS Office at 2526 3679.